It looks like Xiaomi’s sub-brand in China Redmi is planning to launch a new flagship phone Redmi Pro 2 in China. The key details of this upcoming phone have leaked online on Weibo which hints at the Snapdragon 855, pop-up selfie camera and a 48MP sensor at the back. Xiaomi has separated its Redmi sub-brand in China earlier this year. 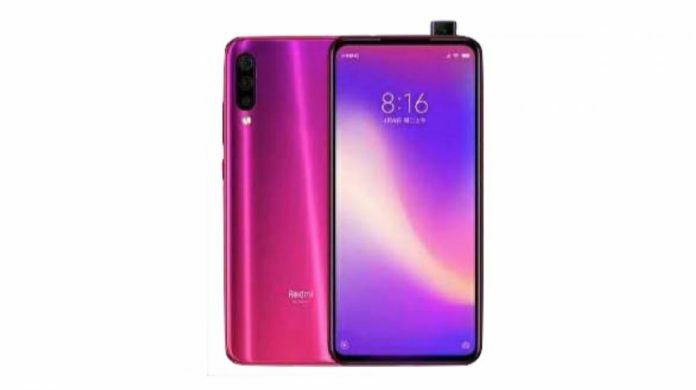 The newly announced sub-brand has launched its first smartphones the Redmi Note 7 and Redmi Note 7 Pro in China. Now, the company is rumored to launch a flagship level smartphone with the Snapdragon 855 SoC. This new Redmi Pro 2 could be that flagship phone. 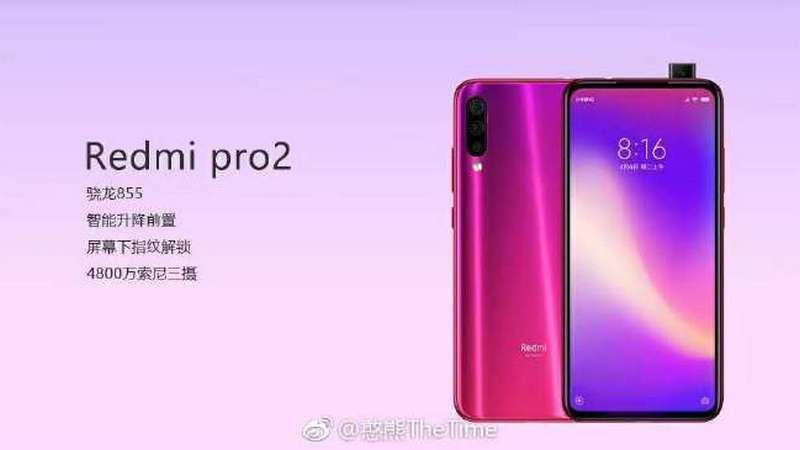 As per the leak, the Redmi Pro 2 will sport a similar design to the Redmi Note 7 series. The leaked image shows a smartphone with a gradient glass back. Notably, the smartphone can be seen with a high screen to body ratio display and it does not feature a notch on top. It has a popup selfie camera instead just like the Vivo or OPPO devices. Further, the leak suggests that the Redmi Pro 2 features a triple camera set up at the back. The leak also states that one of these three cameras is a 48 MP sensor. Another notable feature that is expected to come with Redmi Pro 2 is an in-display fingerprint sensor which is becoming the industry standard for flagship phones. As mentioned above, the Redmi Pro 2 will be powered by the latest Snapdragon 855 SoC. Other details like the display size, battery capacity, and connectivity options have not yet revealed. We should know them in coming weeks. The company has not announced anything officially on the upcoming Redmi Pro 2 phone. So, there is no word on the launch date of the smartphone and we will have to wait until the company makes an official announcement about it.